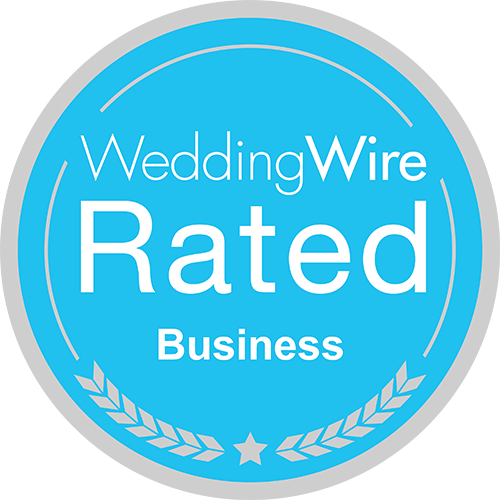 We are pleased to extend this tradition of quality and service for your wedding plans. 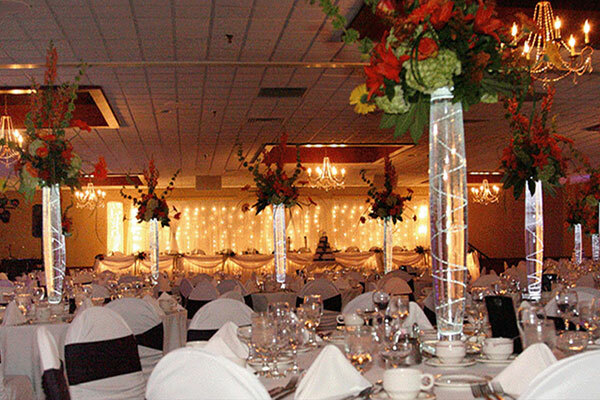 Having the ability to accommodate up to 300 guests, we are pleased to assist you with your wedding arrangements. Kindly accept our sincere thanks for allowing us the privilege of extending our hospitality to you and your guests. Amazing Features of Having Your Wedding at Ripa's! Receive a 10% discount off the total if you have your Bridal shower, Rehearsal dinner and Wedding reception here with us! "Ripa's Restaurant was a great place to have our wedding reception! The food was great and everything looked beautiful! They set up all of our stuff for the reception just the way I wanted them to be set up and everything looked beautiful. The only problem we came accross was that there wasn't a lot of wait staff and the service of dinner seemed to take a long time. They really needed more staff for the size of our wedding. They also needed at least one or two more bar tenders. There was always a line waiting for drinks for the bar, some times a line almost 30 people deep!! They really needed a lot more staff then what they had working, but of the staff that was working they were polite and very helpful. Ripa's was a great location to have our reception, and other than being a little under staffed, I would hold any other venue that may come up at Ripa's." "Ripa's Restaurant is in Lancaster, NY. They can accommodate 300 people for a wedding. I had 202 and we were quite comfortable. They only have one wedding per date so I didn't run into any other bride on my big day. The food is outstanding. If you want your guests to actually enjoy their meal, this is the place to go. Unpretentious Italian food. We had it served family style and everyone enjoyed it. I spoke to one contact person so we were always on the same page. At the last minute I wanted to add a cordial service after dessert. No problem. We also added wine carafts at the tables at the last minute. No problem. The wait staff was helpful. The bar staff was helpful. There were no disastrous bridezilla moments. Everything went smoothly and I got SO many compliments that our wedding was MOST enjoyable. I would recommend anyone who is having a huge family wedding to come here. They are welcoming and accommodating. You can't beat the value. I paid less than $30 per plate including taxes and gratuity and open bar for a meal I would pay money for if I were on a romantic date for two. I had 30 kids at the reception and they made allowances in my price so as to not pay for the bar for them. CJ sound is already wired into their sound system. SO easy to get my DJ without a ton of setup time. But you could use any DJ or band you want. Ripa's set up the room just like I wanted it. I needed to get behind our wedding cake because we did cake pulls with our wedding party. No problem. they also set up my gift table and seating card tables with my decorations exactly how I wanted them. I would come here for any event in the future where I needed to accommodate a group of people for any reason." Please fill out our Wedding Inquiry form below. We will contact you shortly to confirm your request. WeddingRehearsal DinnerBridal ShowerBreakfastLunchDinnerOther Please select one.